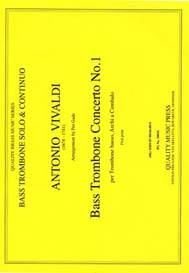 Antonio Vivaldi. Concerto No. 1. Bass Trombone Solo & Continuo. Arcanello Corelli. Sonata No. 5. Trombone Duet. Carl Nielsen. 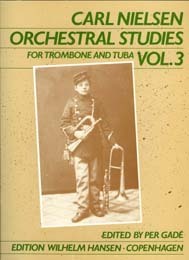 Orchestra Excerpts. Book 1. 3 Trb'ns & Tuba. Carl Nielsen. Orchestra Excerpts. Book 2. 3 Trb'ns & Tuba. Carl Nielsen. Orchestra Excerpts. Book 3. 3 Trb'ns & Tuba. J. S. Bach. 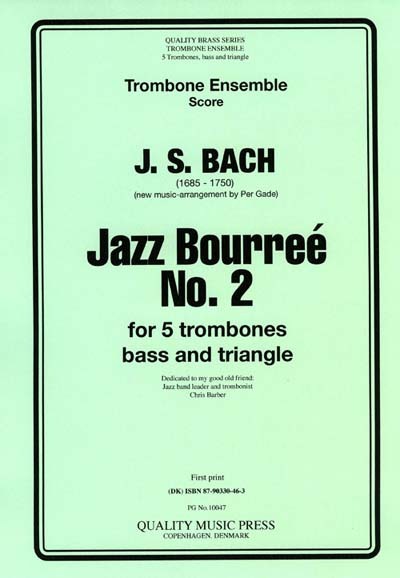 Jazz Bourré. 5 Trombones, Bass & Triangle. Richard Wagner. Tannhauser. 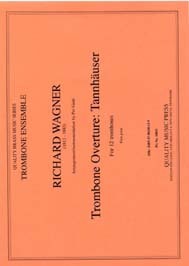 12 Trombones. Ludwig van Beethoven. 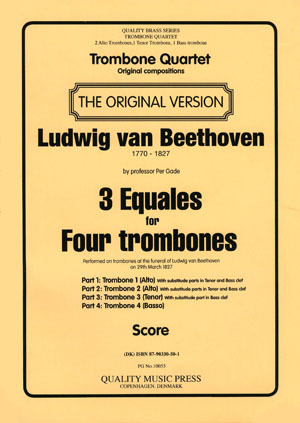 3 Equales for Four Trombones. J. S. Bach (1685 - 1750). Chorale. 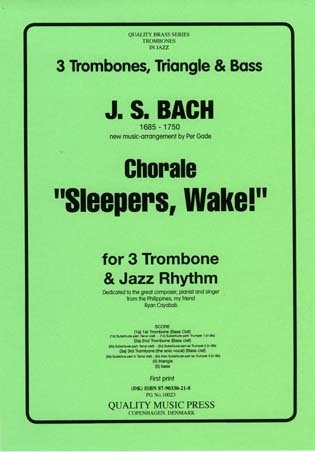 "Sleepers Wake". 3 Trombones solo & Jazz Rhythm.